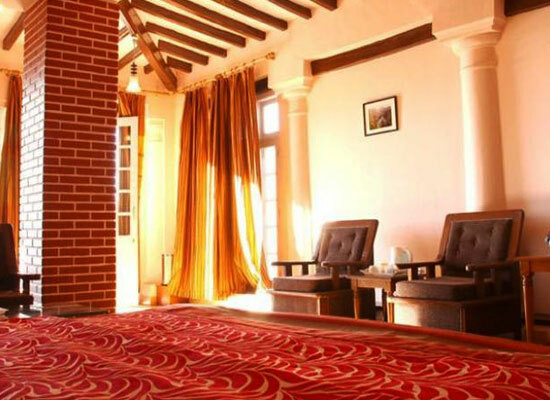 "Counted as one of the best heritage resorts in Uttarakhand, Karma Vilas Resort, Mussoorie is placed at an altitude of 6000 feet above the sea level, offering stunning views. 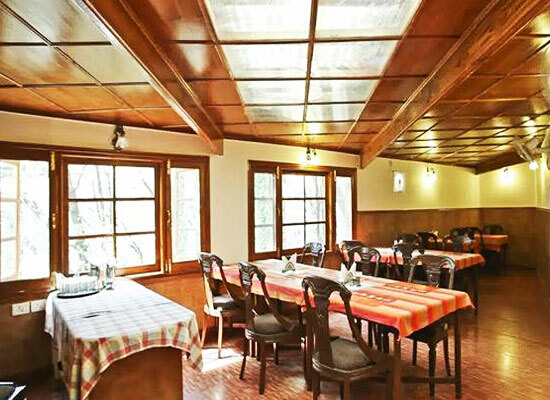 Easily accessible from the Mussoorie-Dhanaulti highway and the Mussoorie-Delhi highway, this heritage property offers a memorable stay to family vacationers as well as business travelers. 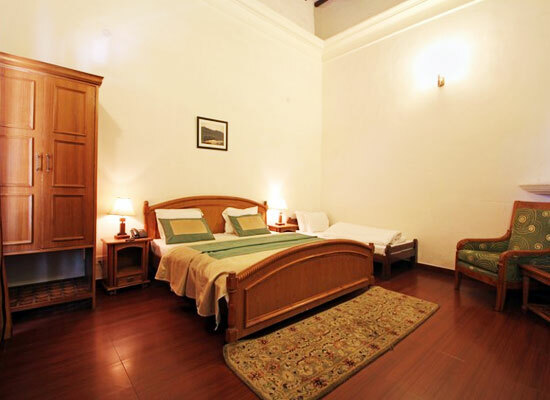 Just a kilometer away from the city center, it is well-equipped with all the modern comforts. 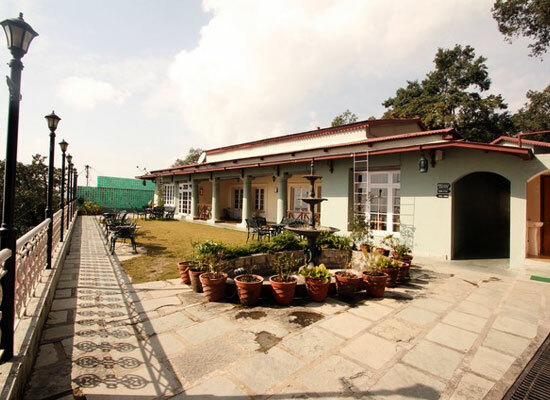 The Karma Vilas Resort, one of the most popular heritage hotels in Mussorie, is originally a 19th century Victorian-style villa, which has been turned into a hotel. Placed on a sprawling estate of 6.5 acres, this hotel lies amid pine and oak trees. 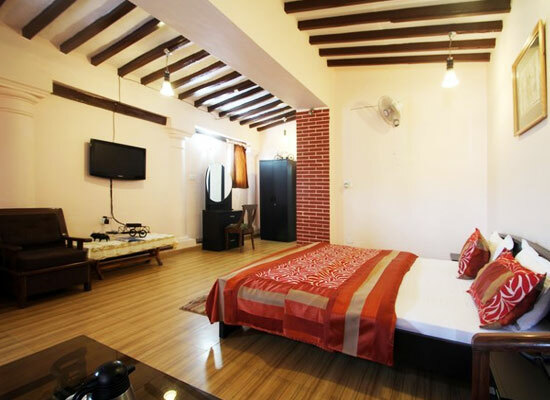 The accommodation at Karma Vilas Resort Mussoorie has spacious and equipped that have been segregated as Deluxe rooms, Royal Classic rooms and Presidential room. 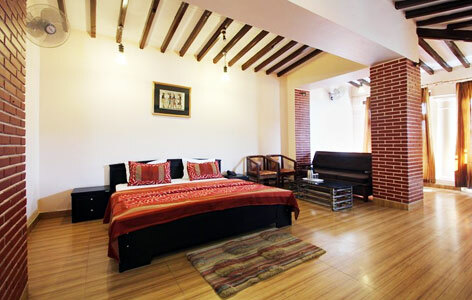 These rooms here are a wonderful combination of contemporary comforts and old-warm interiors, invoking a magical charm. Guests can enjoy lovely weather and stunning views from their room’s balcony. Huge beds, fireplace, LCD TV, attached bathrooms, room service, telephone, chairs and a table, wardrobe are some of the facilities and amenities offered here. A wonderful informal space serves a vast variety of hot beverages including coffees and teas. If you wish to savor the town’s best mocktails, visit this venue. This is an ideal place for some ideal informal chit-chat. An open air lounge, which the lip-smacking grilled snacks. A multi - cuisine dining, which not only sumptuous delicacies of varied fares, but also some energetic music. Mussoorie, one of the best hill stations of Uttarakhand, receives a crazy footfall of tourists every year. Pleasant weather and wonderful views are complete charmers. Kempty falls, Company Garden, Jwalaji temple, the Mall road, Lal tibba, Gun hill, Library bazaar, Happy Valley, and Camel's back road are some of the Mussoorie attractions that are worth-visiting.